Who were the Culdees and why were they in Muthill? Who were the Culdees and why were they in Muthill ? I have a particular interest in the religious sect known as the Culdees . I lived for a number of years in an old stone house in Muthill called “ Little Culdees ” It had been built circa 1790 using stones from the remnants of Culdees Castle in what is now the farm and estate of the Maitland Gardners . A somewhat be- turreted idiosyncratic dwelling located over a flowing burn and distinctive but with its stone slabbed flooring perhaps the coldest house I have ever lived in! Who then were the Culdees ? Culdees were holy men who loved solitude and lived by the labour of their hands. Gradually they came together in a community, still occupying separate cells, still much alone and in communion with God but meeting in the refectory and in the church, and giving obedience to a common superior. In the Irish language the word was written Ceile-De, meaning companion or even spouse of God .The Latin equivalent in the plural was Colidei, anglicized into Culdees; in Scotland it was often written Kelidei. Known as “ hermits “ they were in fact the old Celtic Church and occupied such Holy places as Iona Abbey and closer to home , Inchaffray Abbey near Madderty .The Synod of Whitby in the 7th Century saw them lose out to the Catholic Church over what date Easter should be celebrated . Although this seemed to signify their gradual decline , the Culdees hung on and indeed shared many of the buildings with the Augustinian brothers (Inchaffray in particular ). What then was their significance to Muthill ? We know that in 1235 a Charter was signed by Padin who was the Presbyter of Muthill , concerning the connections between the Abbey of Lindores and Muthill Church .This same document was witnessed by Maurice , Prior of the Kaledei or Culdees at Muthill. 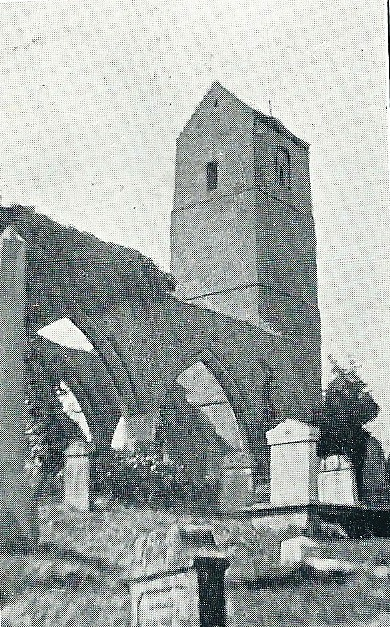 The Culdees had been in Muthill for some time They did not occupy what is the Parish Church but had their own Monastery “ somewhat apart ” ( Shepherd ) . A House of Culdees at Muthill. A prior and two brethren are mentioned 1178-95. The latest specific reference seems to be 1236 but a prior of Muthill witnessed a charter probably of 1284-96. Traditionally a church of the Culdees existed on the west end of Culdees estate (NN 8816). The traditional site of the church is within the area centred on NN 881 159. An avenue of trees to the SE, known as the Monk's Walk, leads to an old orchard at NN 884 157 called the Monk's Garden (Mrs Maitland Gardner, Culdees, Muthill). Visited by OS (RD) 19 May 1967. 2. Michael Ochiltree Priest of Muthill and suppressor of the Culdees. One of the most famous incumbents of Muthill before the period of the Reformation was Michael Ochiltree . 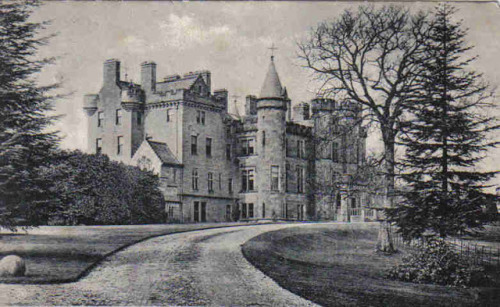 He was Dean of Dunblane and Priest at Muthill in the year 1425. 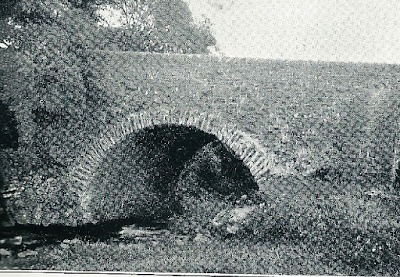 The Church of Muthill was partly rebuilt by him ..He was also builder of what is still known as the“ Bishop’s Bridge” over the Machany near Muthill . He built another bridge , now disused over the Knaik at Ardoch . He was appointed Bishop of Dunblane before the year 1439 and was still Bishop in 1447 . For the next 100 years from 1447 the history of Muthill is blank . From the time of St Fergus ‘s preaching down to the days following the reign of Queen Margaret ( about 1100 ) , the form of Christianity in Scotland was that of the Celtic or Culdees Church . 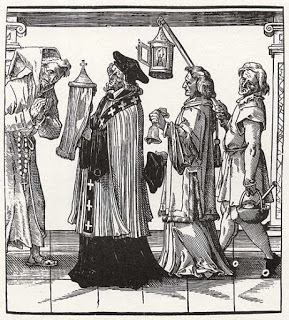 That Church had its own Bishops, Priests and Deacons as was the case everywhere else in Christendom , though its Bishops occupied a somewhat anomalous position in the matter of Government . About the beginning of the 12th Century , mainly through the works of the sons of Queen Margaret and through fear of England , the influence of the Bishop of Rome ( the Pope ) began to be felt , and this was gradually increased in the most natural way possible ,until Scotland came to be looked upon as “ the special daughter “ of Rome “ . From the 12th Century to the middle of the 16th Century marks the limits of Roman power . During that period , Church life at Muthill must have been similar to Church life elsewhere . The Priest at Muthill , after the suppression of the Culdees , was always a man of some importance , and was usually Dean of the Diocese .. The ordinary round of services was followed ,and the parishioners learned their faith from the regular recurrence of the Church Festivals .Christmas, Easter , Ascension Day , Pentecost and numerous Saints’ days throughout the year brought the people to Church , andtheirwholelifewaspenetratedby religious observances, of various sorts .